Over the years, The Corral has become a regular stop for CIF State contenders, and that trend will continue this fall. 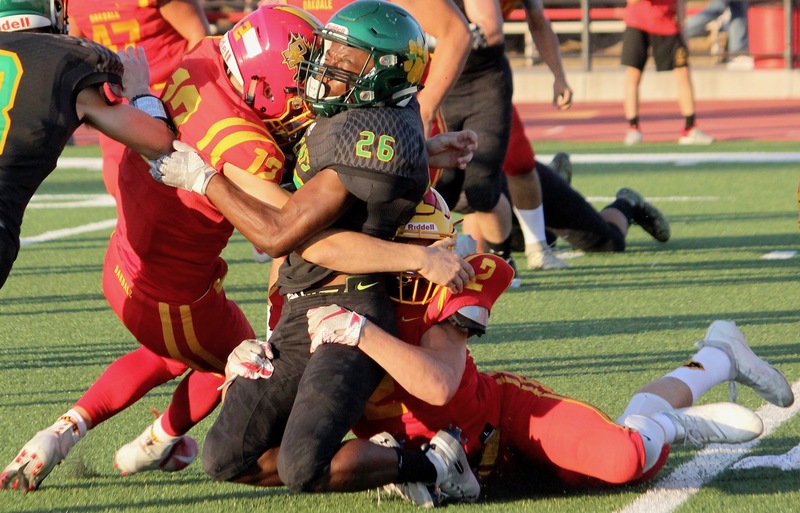 In 2017, Oakdale stood toe-to-toe with mighty Folsom in a 45-29 loss. Two years earlier, the Mustangs thrashed Menlo-Atherton, a 2017 state finalist. This fall, a bona fide state champion with one of the nation's most sought-after recruits comes calling. Oakdale will host Liberty of Brentwood on Aug. 30, according to MaxPreps. The Lions are the defending CIF State Division I-A champions and have risen quickly under second-year coach Ryan Partridge. In his first season, Partridge guided Liberty to its first North Coast Section championship. 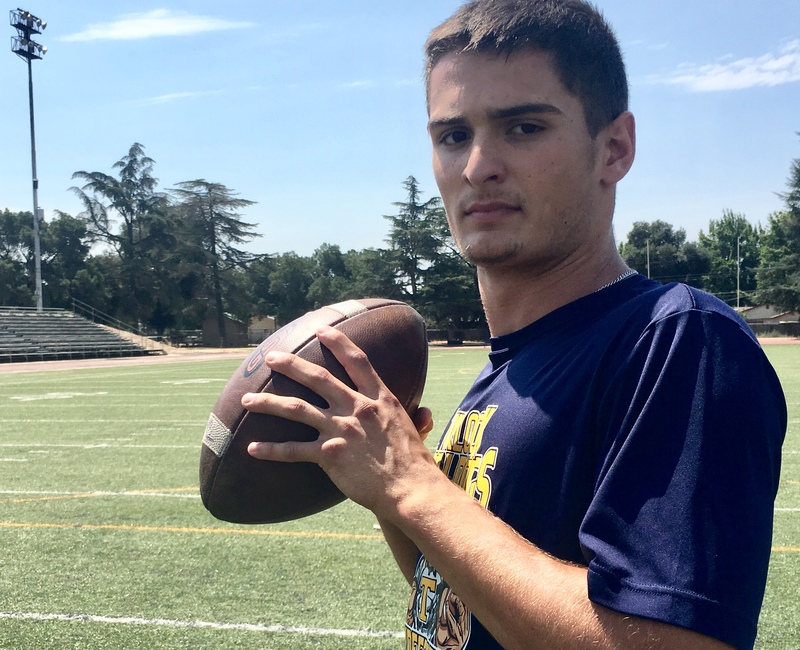 With highly-touted quarterback Jay Butterfield as the centerpiece, the Lions roared to their first-ever state championship last fall, edging Sierra Canyon in the Division I-A bowl to complete a historic two-year stretch. 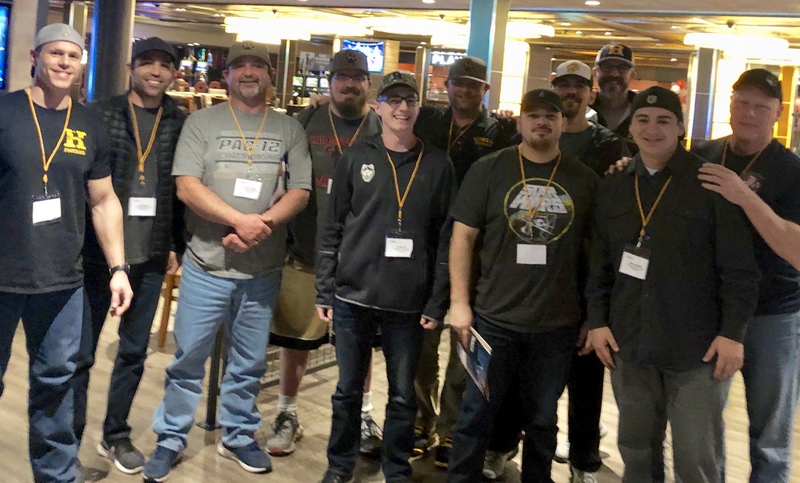 Liberty’s only loss in 2018 was to De La Salle, a CIF State Open Division finalist and national power. Mercury News prep editor Darren Sabedra has more on Liberty’s remarkable rise to power. To read his story, click here. 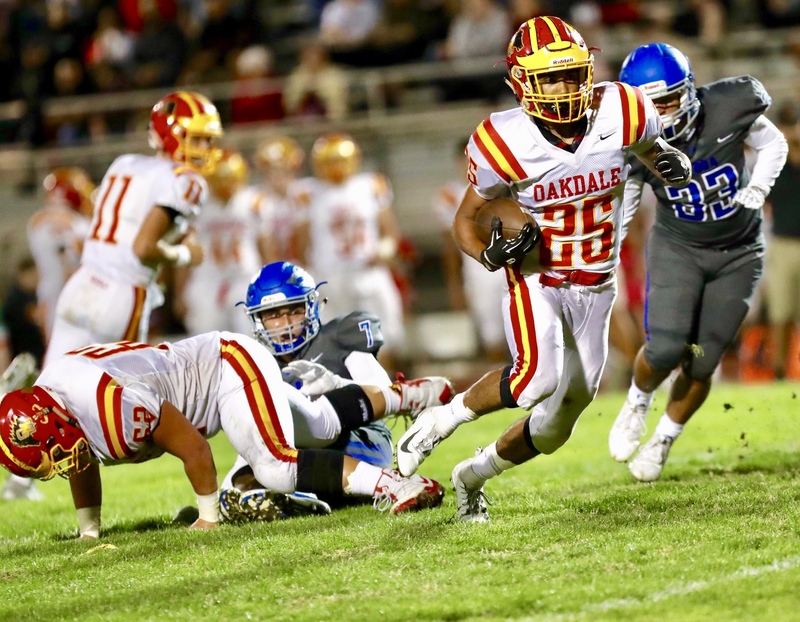 This fall, Oakdale was 9-4 and reached the Sac-Joaquin Section Division IV semifinal round, losing a heart-breaker in the final seconds to Rio Linda. Unlike Liberty, the Mustangs’ reputation has been forged through the decades. 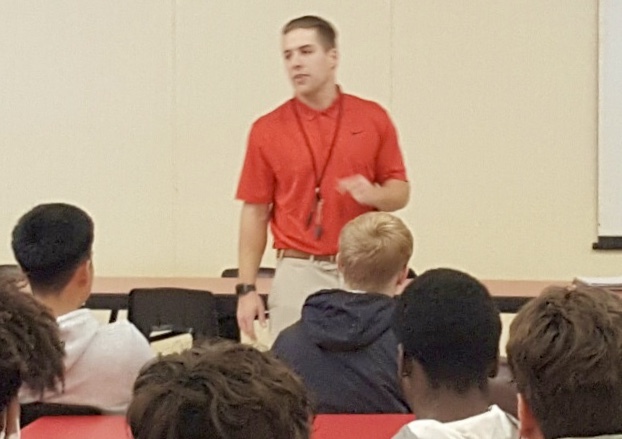 Coach Trent Merzon prepares for his 20th season at the helm of his alma mater. He is 197-49-1 and will likely celebrate his 200th career win before Halloween. Merzon and the Mustangs will reload around running back Zeke Saffar, a Valley Oak League player of the year candidate, inside linebacker Cameron Snow, defensive lineman Peyton Bradford, and defensive back Jaiden Williams. All four were all-league selections last fall. Butterfield is back: The 6-foot-6 senior-to-be holds 15 Division-I offers from some of the game’s biggest names, including Michigan, Oregon, Washington State, Tennessee, Arizona, Arizona State, Colorado, Iowa State and Cal. Butterfield threw for 3,294 yards and 43 touchdowns last fall, completing 64 percent of his passes. He’ll lose his top three receivers to graduation, though. Dudes on defense: Mason Padilla, another junior, is the team’s top returning tackler. Padilla made 69 stops, including 10 for a loss. He also had 3.5 sacks. Liberty has a promising pass rush, though that may prove inconsequential against the run-heavy Mustangs. Returners Darrion Bartley (six), Payton Zdroik (five), Peyton Borrelli (four) and Akili Calhoun (three) combined for 18 sacks. 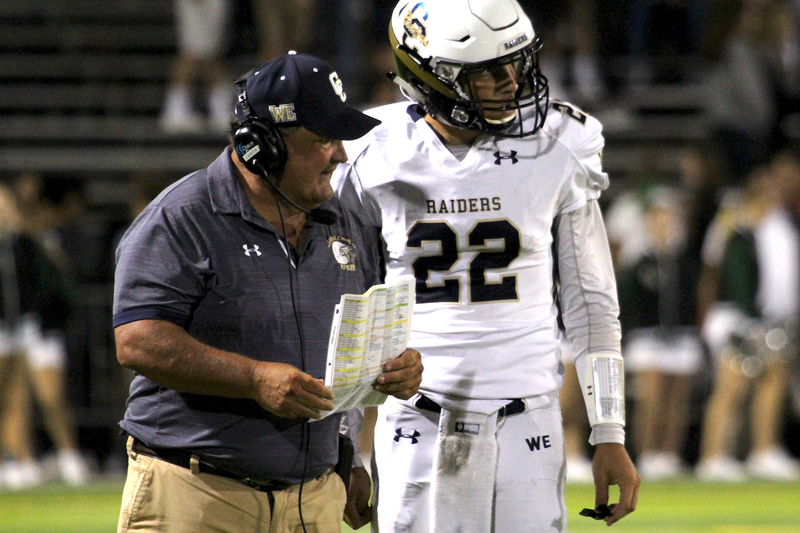 Midas touch: Since taking over for Jeff Walters, now the head coach at Del Oro, Partridge is 24-3. His only losses are to Vacaville in his coaching debut, 52-42; Pittsburgh, 35-0; and De La Salle. Liberty rebounded from its loss to Pittsburgh late in the 2017 regular season and won its final four games, including a 35-0 triumph over rival Freedom in the North Coast Section Division I final.